When it comes to teeth whitening reviews, it pays to be skeptical. Too many products on the market claim to be the best teeth whitening product available. Ads in print and on the internet promise us the best smile and whitest teeth ever. These ads and glowing reviews, promote everything from teeth whitening products such as teeth strips to laser teeth whitening. It appears, when it comes to desiring white teeth, the market is replete with a vast array of products. Teeth whitening reviews may help you make a decision, but we all need to be careful. 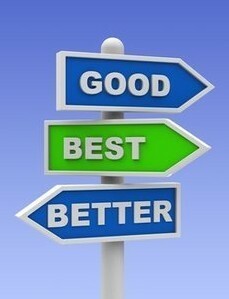 A correct choice must rely on more than a review. This is particularly applicable if the review comes from a dubious source. We need to recognize the ability of companies to pay for product placement. Always check to see if the reviewer has a direct or even indirect connection to the product. Is he or she receiving compensation for writing a positive review? Are they selling this particular product on their site? Always ask, "Does the review and/or the reviewer display a bias that is not supported by scientific or non experiential evidence?" A good review on whitening methods is an inclusive one. It will look at all aspects of a product or procedure. It will talk about the advantages. More importantly, it will look at any potential or actual disadvantages. This will include possible side effects such as tooth sensitivity and gingival irritation. A good review will cite sources for evidence. It will refer to scientific studies. In particular, it will note which studies supporting the product are based on reports not paid for or done under the auspices of the company who makes the teeth whitening product. Are There Best Tooth Whitening Methods? No matter what a reviewer may claim, there is no exact answer. The term "best tooth whitening" means different things to different people. It is all a matter of definition. Moreover, different criteria exist for both methods and individuals. Dental or even home whitening procedures differ. The individual needs and compatibility also vary. If we want to make a good decision, it is essential to research the topic. Never rely completely on a single review. No matter how glowing it may be, always search out others. It is essential to have more than one opinion on a specific treatment or procedure. This is the only way we can discover more about it before placing our teeth in its hands. When doing research, make sure the reviews you read are not simply a rewrite of the one or ones you have just read. This is a common practice on the internet. Look beneath the surface. Go into scholarly sites and see if there is any recent research on or studies about the particular product or procedure. This will provide you with a more rounded description. Never underestimate the power of face-to-face conversation. Talk to people who have used the product or undergone the procedure. Visit a dentist who specializes in the treatment. Talk to a dental professional who will give you an honest opinion of an OTC treatment. It is essential, anyways, to see a dentist to discuss whether your teeth are a candidate for specific methods of dental procedures or OTC treatments. Teeth whitening reviews are a starting point in the process. They can act as a guide. Do not ever take them at surface value. Always consult other material. Do research. It is the only way to ensure we get the right and best tooth whitening process available.